Accounting firms are going through a massive shift these days. 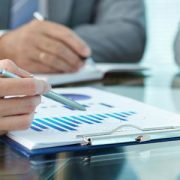 There are plenty of reports that state the tremendous changes that the accounting firms and individual accountants in London are facing. Both, accounting firms and individual accountants, find it hard to a survive hostile environment where the taxation process is constantly changing and recruiting and retaining process of staff is ever evolving. Not only that, but the impact of technology seems to be worsening the problem than providing the aid. Other challenges like losing experienced employees, remaining cost-effective in the competitive industry and fulfilling client’s demand has become a real concern for existing and new accounting firms. 1. Fierce Competition in the Industry: With the uncontrolled and unchecked arrival of new competitors, accounting industry in London and across the United Kingdom is experiencing a fierce competition. 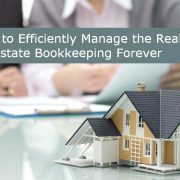 As a result of this, it has become hard for both – established and new accounting firms, to survive in an aggressive market. It has become extremely challenging for both to adjust rapidly with changing rules and regulations. Solution: The most trusted way to survive the competition is to stay ahead in providing the innovative solutions to your clients. Stay in touch with your surroundings, new developments that are taking place, keep your accounting software updated and adapt quickly. Be active and prompt in responding to any new trend in the industry. 2. Staying Updated with Technology: The technology was designed to be a useful tool to everyone in every industry, and new inventions are taking place at an amazing rate and are adding more woes and concern for the firms. Some accounting firms and individual accountants are struggling hard to keep up with the latest technology, and it is becoming perhaps their biggest challenge. Regularly evolving accounting software programs need instant adaptation which is bit time consuming and expensive process. However, technology can do wonders for your business if successfully utilized. Solution: Invest some time in concluding the suitable accounting software for your company and clients. Accounting firms in London can also outsource their accounting tasks to account outsourcing firm like Affinity Outsourcing. Outsourcing your work will save a lot of time, money and also give access to accounting software experts. 3. 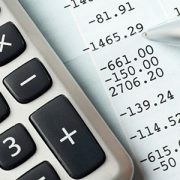 Pressure to Remain Cost-Effective: One of the most common problems that the majority of the accounting firms face in the UK is that of price reduction. Staying updated with the latest technology is expensive, and it can be challenging to remain cost-effective while adopting new technology and software programs. Moreover, with the rising competition in the market, both established and new accounting firms are forced to lower their costs to attract customers. Solution: Being cost-effective means striking the right balance between cost and the result. The best way to remain productive in relation to cost is by using a budget. A business budget will act as a blueprint and will guide you with your expenses and will prevent any unnecessary spending. A budget can work wonder in making your business a hit by increasing your cost-effectiveness. 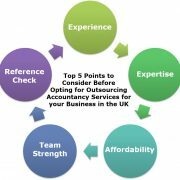 Above mentioned are the few of the most common challenges faced by the accounting firms in the London and also across the United Kingdom. Understanding them will assist you in resolving issues that you might face while running a CPA firm. These advices will direct you in taking your business to new heights. If you are an accounting firm or an individual accountant looking for professional help who is well versed with the latest accounting software and affordable at the same time, then feel free to contact us at http://affinityoutsourcing.net/. We are accountancy outsourcing firm in London with more than 30 years of experience. 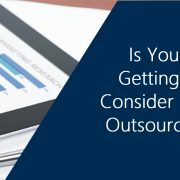 We offer a free quote and consultation to help you understand how outsourcing works and benefits you and your business. 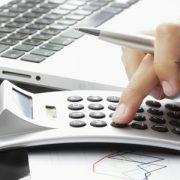 Are you an accounting firm or an individual accountant in London? If so, then here are the most common challenges faced by the accounting firm and tips to overcome them. 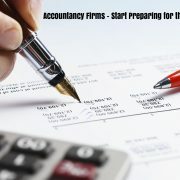 http://affinityoutsourcing.net/wp-content/uploads/2019/04/Accounting-Firms-in-London.jpg 300 780 Affinity-Admin http://affinityoutsourcing.net/wp-content/uploads/2017/02/logo.png Affinity-Admin2019-04-08 09:46:072019-04-08 09:46:07Common Challenges Today’s Accounting Firms in London Face and How to Overcome Them?